Dr Samuel McGlennon was awarded his PhD from the Australian National University in December, 2015. His research explored ​the limitations and possibilities of ​attempts to govern trade in the so-called 'deforestation commodities'​,​through certification schemes and Roundtables, illegal logging legislation and biofuels standards, among other innovations. These supply chain responses from overseas businesses, industries and governments ​have ​emerge​d​​​​​​during an 'age of experimentation' in which actors ​are seeking to address their connection to 'distant' problems such as tropical deforestation. 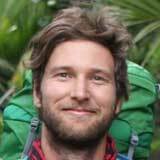 Sam was based at CIFOR in Bogor, Indonesia for almost two years during his research, and now lives in Auckland, New Zealand. Despite their rapid proliferation, 'Sustainable Use Reserves' in the Amazon aren't living up to their hype- especially when it comes to reducing fire. New research uses spatially and temporally explicit data to better understand deforestation trends in South America. Ahead of World Wetlands Day, research shows how protecting mangroves can mitigate sea level rise – while also helping them adapt to its effects. Agrarian change happens at the landscape scale, but making the transition to sustainable agriculture requires an understanding of local benefits and trade-offs. A strong agreement in Paris could inject new energy into the original idea for reducing carbon emissions from forestry and land use.